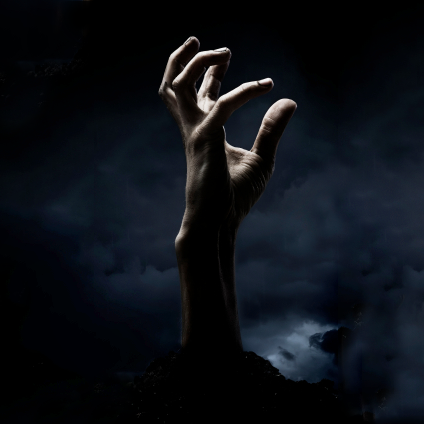 When companies become zombies, it’s not quite as obvious as with humans. Sure, the symptoms are similar – being dead but walking around as if still alive, no capacity for rational thought, pursuit of a single-minded hunger – all while the inside is rapidly decomposing. Oh, and then there’s the smell. The Moore’s Law apocalypse is taking place in the world of custom chip design right now, and by all rights EDA companies should be among the walking dead – mindlessly scouring the engineering countryside for leftover morsels of brains. Electronic system design should be barricaded inside the local Costco store, stockpiling the remaining useful design tools and fortifying against the impending design automation zombie hoard. Why then, am I looking at the EDA Consortium Market Statistics Service 2011 third-quarter press report and seeing 18.1% year-over-year growth? Zombies can’t re-humanize, can they? EDA can’t be experiencing strong, industry-wide double-digit growth in the midst of apocalyptic chaos and ruin. To find out, I talked to Wally Rhines, Chairman of the EDAC board of directors (and also chairman and CEO of Mentor Graphics). Rhines explained that the growth was broad-based, including all global regions and all product areas, and that it was shared by all of the major EDA companies and their partners. In addition, according to the press release, EDA companies actually increased their total number of employees by over 2%. Yep, not only did the industry experience amazing growth, they actually added jobs. “We have carefully studied the market cycles of the EDA industry compared with the cycles of the semiconductor industry,” Rhines explained. Rhines observes that during lean times, semiconductor companies cut back on production but invest in tools and engineering so that they have new and innovative products ready for the next boom wave. When the boom hits, all the money and focus goes into production capacity – trying to milk the most out of the products flowing through the fabs. When the semiconductor cycle starts to wane, the cycle of upgrading tools starts again. What this means, if you do some signal processing on those market waves, (no need to break out the massively-parallel FPGA-based DSP blocks for this one), is that the EDA market waves are connected to semiconductor market waves, but out of phase. Diving down into the segments, everyone is trying to do more design with fewer engineers, so the CAE growth makes sense. Besides, the detailed levels of design are getting more automated, so a greater percentage of the productivity gain is to be had at the highest levels of design. The IC Physical Design and Verification segment makes more sense, of course, given Rhines’s observations about semiconductor versus EDA market cycles. Furthermore, an interesting effect is taking place in custom IC design. For years, we’ve been talking about the declining number of design starts against the backdrop of an exponential increase in NRE for new process nodes. However, increased NRE is only part of the story. At another level, the integration made possible by these advanced process nodes has reduced the number of design starts required in the first place. If you can do your system design in three chips instead of six, you’ve cut the number of design starts in half. You probably end up needing a bigger, more sophisticated engineering team and tools, though. Luckily, when your system design reaches something near one big ‘ol system-on-chip, we won’t integrate away the number of design starts anymore. So, while we have fewer designs starts, the ones that are left are larger projects with much bigger teams and more budget for design tools. That’s a win for EDA. The PCB growth is a bit more interesting and, on the surface at least, unexpected. For decades, the PCB tool market has been fairly static – a nice steady demand, but not much growth. Now, with digital designs tipping the speed-meters up into the double-digit gigahertz, board design tasks that used to be easy have become difficult again – making a new market for new, advanced tools. Power planes are no longer just big seas of metal on your board – you need a field solver to figure out high-frequency problems. Vias are no longer to be ignored, you need to model them with complex 3D models. Every part of the board design process has had to be overhauled with the proliferation of super-high-speed design techniques, and the PCB tool market is booming because of it. In the old days, you could get by with no signal integrity analysis at all. Now, you may need a fairly expensive tool suite just to cope with all the high-speed board design issues you face. EDA wins again. Of course, on the IP front, the percentage of the average new design done with IP blocks versus “from scratch” is headed rapidly toward 100%. Someday, it will be a rare block indeed that requires new HDL to be actually written by hand. Big, complex IP blocks like ARM’s processor cores and peripherals are the big winners here. Following more quietly in their shadow are a giant collection of medium-complexity blocks that implement every standard and peripheral function under the sun. Most of these capabilities are complex to create and don’t differentiate your design, so you’re way ahead to buy IP and spend your energy where it counts. IP is yet another score for EDA. We don’t expect EDA to keep up this breakneck growth pace forever. As Rhines points out, the EDA industry goes through major cycles just like the semiconductor industry. Right now, we’re on the good side of that swing, but we’ve seen the other side of this curve as well. However, the current boom kicks sand in the face of all the naysayers that were counting commercial EDA suppliers as among the walking dead. I guess we can come out of that Costco after all. Is EDA after our brains? Has the industry died, but failed to fall down? Or, is there a pending resurgence of EDA given the extreme challenges of today’s ultra-complex high-speed designs? How much of this headcount was added in the US? The impression I get from folks still working in EDA is that most of the new headcount is being added overseas while there have actually been reductions in the US.